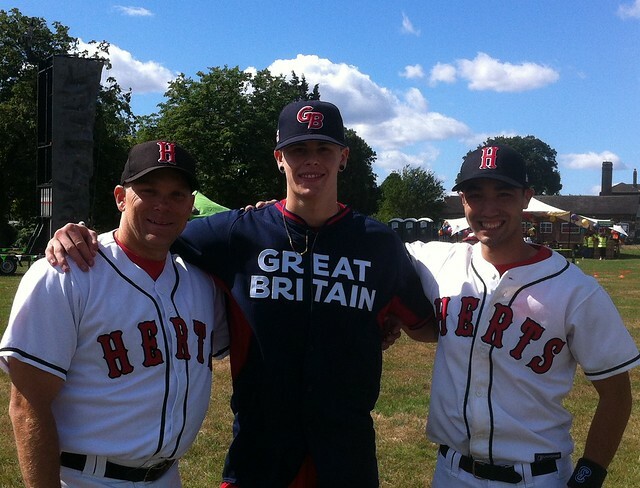 The home of the newly unveiled Herts Londoners baseball team will be Basing Hill Ballpark in North West London. The announcement was made at Herts Baseball Club’s Annual General Meeting. The first baseball game at the venue will be the team’s home opener of the 2019 BBF league season. The club is yet to confirm which league tier of the British Baseball Federation the Londoners will enter. They indicated that the team managers will assess the potential rosters in order to make the final decision just before the league-entry deadline on 31 January and will announce it publicly shortly after that. Apart from baseball for adults, the venue will also offer baseball for boys and girls with teams playing in the BBF youth baseball leagues. The dimensions of the diamond are slightly larger than those of Diamond One at the club’s existing ballpark in Hemel Hempstead. The baseball-specific field components will be added gradually so the venue will be taking shape over the next few months. Basing Hill Ballpark is located within walking distance of two London Underground stations. It also benefits from numerous bus services and a ThamesLink train station. Major roads such as the M1, A41 and A406 North Circular Road cross next to Basing Hill which will make it easily accessible not only for the local community but for anyone in and around London. It is a 25-minute drive from Hemel Hempstead which opens the opportunity for Herts youth teams based in NW London to play league games with their counterparts from Hemel Hempstead. The club started its expansion into NW London in 2014 by establishing its satellite baseball club at Whitefield School which developed into a school baseball league involving teams from schools around NW London and Hertfordshire. At the same time the club worked with the London Borough of Barnet and local Councillors in a bid to add baseball to the nearby Clitterhouse Playing Fields, which is part of the Brent Cross Regeneration project. In 2016 Barnet Council selected the developer for the Brent Cross South project. Herts has taken part in various stages of the project, including consultation workshops and more recently an event at Clitterhouse Playing Fields in July 2018 where various sports were showcased. Herts baseball received positive feedback from the public and the Youth Sports Trust at that event. The response from the Brent Cross South developers has also been encouraging and the club is continuing its efforts to include baseball and softball at Clitterhouse Playing Fields. Club president, Aspi Dimitrov, said that “the Brent Cross South project is expected to commence at the end of 2020, which is why it was necessary to fast track the opening of Basing Hill Ballpark this year in order to have the capacity in NW London to accommodate the anticipated increase in participants thanks to the upcoming league games between the Boston Red Sox and the New York Yankees as part of the MLB London Series”. 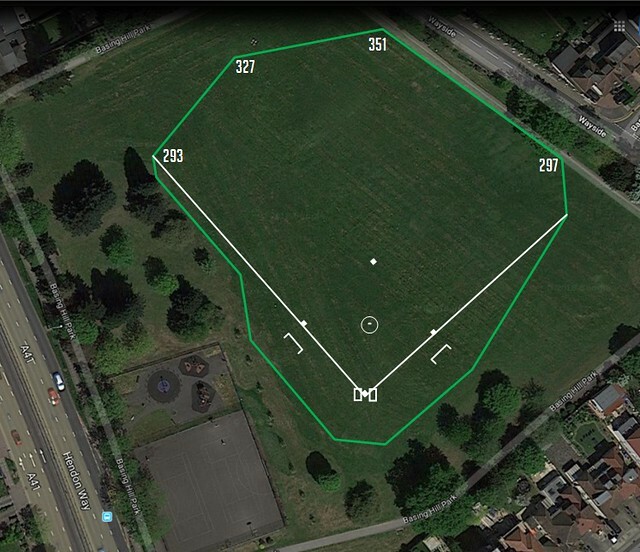 Clitterhouse Playing Fields is located just 300m from Basing Hill Ballpark which would mean that large baseball and softball tournaments can be staged with games being played at both venues at the same time. “Expanding Grovehill Ballpark in Hemel Hempstead in 2010 brought incredible energy to our club and gave us the opportunity to grow. We hope that this new baseball venue in NW London will be equally successful” said Dimitrov. Adult and youth players, from beginners to advanced players, are now registering for the 2019 baseball season. For more details about how to join any of the Herts adult and youth baseball and softball teams or to try baseball at an upcoming open session, please contact us. You can now follow the Herts Londoners on Twitter. Next Topic: He is back!